For unsuspecting marketers, the rise of User Generated Content marketing may seem like a sudden takeover. However, for eCommerce brands it’s been a long time coming. Content marketing doesn’t have to represent a black hole of ROI for digital shop owners anymore. In fact, today’s movers and shakers in eCommerce are using UGC to build their followings, convert more customers and keep them coming back to their stores time and time again. It doesn’t matter if you have dozens, hundreds or thousands of shoppers in your funnel. Simply put, there’s no better time than now to take advantage of UGC. The current explosion of UGC can be attributed to the perfect storm of eager buyers and social shopping. According to BigCommerce, shoppers spent more online on average ($488) than those shopping in-store ($408) in 2016. Unsurprisingly, the biggest winners in the world of eCommerce remain those in the niches of fashion, beauty and specialty accessories. And there’s no doubt that a bulk of those shoppers regularly purchases via mobile and social media. Think about it. It’s obvious that the public at large is glued to their smartphones. Mobile web usage has recently surpassed that of desktops. And, as of the third quarter in 2017, PCs were still ahead in terms of actual sales, but smartphones were the winners in terms of eCommerce website visits. This means that people are spending a lot of time on their phones planning what to buy. And if you make it easier for them, they may just do it then and there. We’re on a the cusp of a big change – can’t you feel the eCommerce potential in the air? Now, User Generated Content. How does it come into play? Rather than smacking social buyers with ads and sales messages, UGC allows brands to sell subtly. No flashy “buy now” messages. No begging or desperate pleas for clicks, either. Meanwhile, Instagram drives a higher average price per sale ($65) than any other major social network according to Shopify. In other words, social feeds can be used to consistently push products to followers. As a result, the integration of UGC has become the cornerstone of major eCommerce brands’ marketing strategies. Already convinced by the potential of User Generated Content? If you’ve been on the fence about User Generated Content marketing or aren’t exactly sure where to start, don’t sweat it. With so many brands hopping on board, it’s essential for eCommerce brands to understand the opportunities afforded to them by UGC. It’s certainly not too late to get started. Of course, you’ll need to sort the best practices for your particular industry. Thankfully, we’ve got you covered. We understand how User Generated Content has benefitted our clients and what it can do for you. More likes. More clicks. More conversions. No matter how big or small, consider how your brand can marry UGC and eCommerce to drive sales. Below we’ve outlined some awesome ideas and inspiration for brands both big and small. For starters, it’s time to rethink what “content” means in the realm of eCommerce. Sure, blog posts, infographics and other traditional content are crucial to any given brand. But what about customer photos? Reviews? Positive customer interactions? These are the types of content that are paramount to UGC campaigns. For example, most eCommerce brands could benefit from a mentality shift when it comes to their social content. Rather than think of your social feed as a place where “anything goes,” why not start treating it as a sort of shop window? Such brands get plenty of love in the form of “Likes,” comments and regrams, too. From bold imagery to photos “in the wild,” User Generated Content marketing goes hand in hand with the best practices of social media. At the same time, brands have the opportunity to sell rather than simply post content for the sake of it. Now, promoting products via social can be a major mental hurdle for brands. Here’s some food for thought, though. Social media, and Instagram especially, represents a prime place to convert followers into customers. Meanwhile, well over half of all social users follow brands to look at products. The takeaway here? Your followers are more than likely hungry for product-centric content than you think. Are you giving them what they want? If you aren't sure that you're giving them what they want, we've got you covered. This is exactly what User Generated Content marketing is so valuable. eCommerce shops can tactfully sell to their followers without sacrificing their brand identity or coming off as pushy. 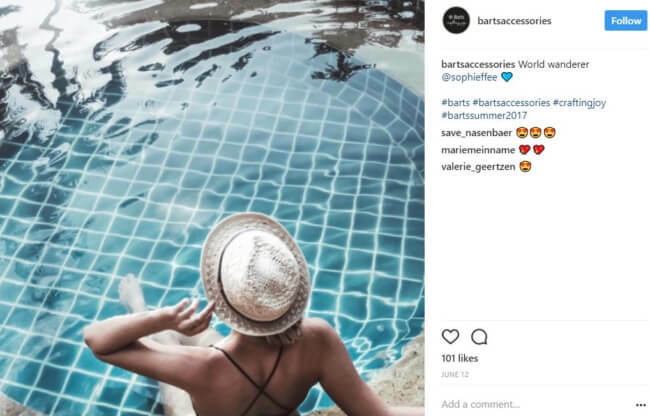 As sales through UGC become the norm, those who get on the ground floor with tools such as shoppable social feeds arguably have the most to gain. Want to generate more content without doing all the legwork yourself? Want to give your products and ads a more personal touch? 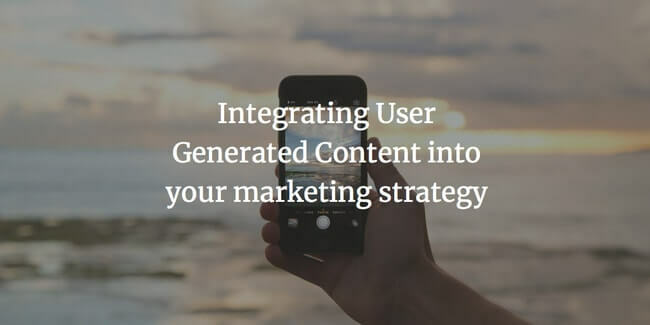 User Generated Content marketing can make both happen with ease. Your followers and customers are arguably your best billboards as UGC improves conversion rates for eCommerce brands. At the same time, asking those followers to create content is pretty straightforward. Asking for and encouraging UGC doesn’t have to be complicated. Captions and social posts which ask questions, request the use of a branded hashtag or encourage some action on behalf of your followers is a plus. User Generated Content marketing is a win-win for followers and brands alike. eCommerce stores gain more opportunities to display their products in real-world setting while their followers are more engaged with their social feeds. If nothing else, UGC can add some much-needed flavor to an otherwise stale or overly-promotional social presence. If you’re worried less about social engagement and more worried about sales, you aren’t alone. But bear in mind that the benefits of UGC go far beyond “Likes” and your follower count. There’s perhaps no better way to build trust with potential customers than through User Generated Content marketing. How so? Well, ask yourself: do you always trust the loudest brand in the room? Or the brand that’s constantly being praised by its customers? From sealing the deal with skeptics to providing new buyers with peace of mind, UGC is the ultimate trust-builder. There’s a reason why eCommerce brands on Amazon stress so much about customer reviews and star ratings. Allowing feedback on-site in addition to customer photos adds yet another layer of trust and social proof for brands. Not only do reviews serve a good UX, but they also show that you already have a base of satisfied buyers. Customer photos and feedback combined with product pages tick all the boxes that drive fickle traffic to smash the “buy” button. These subtle integrations could be the difference between your next sale and bounced traffic. The beauty of User Generated Content marketing is that it can be leveraged across all industries. At the same time, the diverse wealth of UGC provides endless opportunities for new campaigns. Fashion brands are tasked with finding a balance between product photos, hired models and UGC. The more options brands have, the better in terms of keeping their social feeds fresh. But what about brands beyond the world of fashion? Fear not. As a rule of thumb, just about any physical product or service is worthy of a UGC campaign. Here’s a rule of thumb: if your customers can take a picture while using your product or service, you can sow the seeds of an effective campaign. Finally, just because your company lacks a physical product doesn’t mean that User Generated Content marketing is beyond your reach. For those selling digital products or working in the SaaS space, screenshots are just another form of customer photo, after all. Remember: UGC spans across all industries. If you have customers and followers, you have the foundation for a campaign. When you realize just how prevalent and useful UGC is in modern marketing, it’s all admittedly a bit overwhelming. That said, it’s all the more reason to embrace User Generated Content marketing campaigns sooner rather than later. Besides, data tells us that such campaigns aren’t going anywhere anytime soon. User Generated Content currently dominates the realm of social media. Brands are living and dying by their reviews and reputations. eCommerce shops are scrambling to find ways to keep customers on the page and make sure they return after they’ve made their latest purchase. All the while, User Generated Content marketing represents the ideal solution for brands looking to create more content and a more dedicated base of customers. Considering that User Generated campaigns are on the rise, it’s certainly not too late to hop on board. As visual commerce is here to stay and the number of new online brands increases, eCommerce stores that are able to leverage their customers’ photos and feedback are best poised for more dedicated customers and followers. If you’re still skeptical about UGC or simply haven’t gotten started yourself, what’s holding you up? Don’t know where to start? Let us know your thoughts in the comments below. Copyright © 2015 Photoslurp S.L.. All Rights Reserved.